Mary BASTABLE born c1829, Shillingstone, Dorsetshire, England, daughter of William BASTABLE and Mary TRECCA was living at the "Crawford Inn", Hotspur in November 1849 when she married Daniel KELLY, b. _____, son of ____ and ____. Witnesses to their marriage at Hotspur were Hector McDONALD, owner of the "Crawford Inn" and Duncan McRAE of "Pleasant Hills" Station near Digby. On 7 December 1848, Mary Bastable of Shillingstone, Dorsetshire, England embarked upon the ship British Empire arriving at Melbourne on 6 June 1849. Because of the shortage of labour in the Portland area it was decided that a number of passengers including some single women would travel on the brig Raven to Portland Bay which arrived there on 20 June 1849. "Because the far west of Port Philip District was in real need of immigrant workers, a number of the British Empire passengers sailed back to Portland Bay. Eighteen married couples with 44 children between them, and 43 single immigrants re-embarked on the brig Raven for the last stage of their voyage, arriving on June 20"(1). The Disposal List of the British Empire described Mary’s occupation as “a maid of all work” and her employer’s residence as H. McDonald of Smokey River. Mary who was residing at the Crawford Inn married Daniel Kelly on 2 November 1849 at the home of Hector McDonald. Her marriage was witnessed by Hector McDonald of Crawford Inn and Duncan McCrae of Pleasant Hills, Portland Bay. Under the Assisted British Immigration scheme of the time, there was only one Daniel Kelly recorded as arriving before 1850. Daniel, a 29 year old labourer, arrived from Derry, Ireland at Port Phillip on 4 April 1841 and presumably travelled to Portland Bay where he was employed. 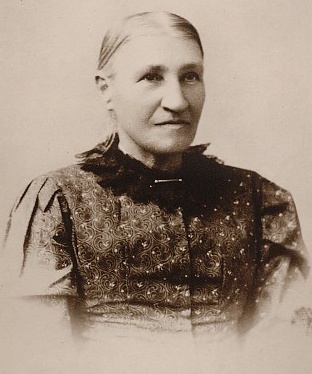 Mary’s first child, William, was born at Portland in 1851. Mary later became Mary Firth and with her partner Abraham Firth had a further eleven children born between 1855 and 1874 at Smythesdale, Victoria. Archives Office of Tasmania holds the convict record of Abraham Firth who was transported to Van Diemen’s Land on the ship Moffatt (3) arriving 28 November 1842 at Hobart Town. Abraham received his Certificate of Freedom on 27 April 1852 after which no further evidence of his presence in Tasmania exists according to the Archives Office of Tasmania. (1) Ref: "The Somerset Years" -Government Assisted Emigrants from Somerset and Bristol who arrived in Port Philip Victoria 1839-1854, by Florence Chuk. Daniel KELLY seems to have disappeared and Mary then took up with Abraham FIRTH and had a large family at Smythesdale near Ballarat in the goldfields region of Victoria.